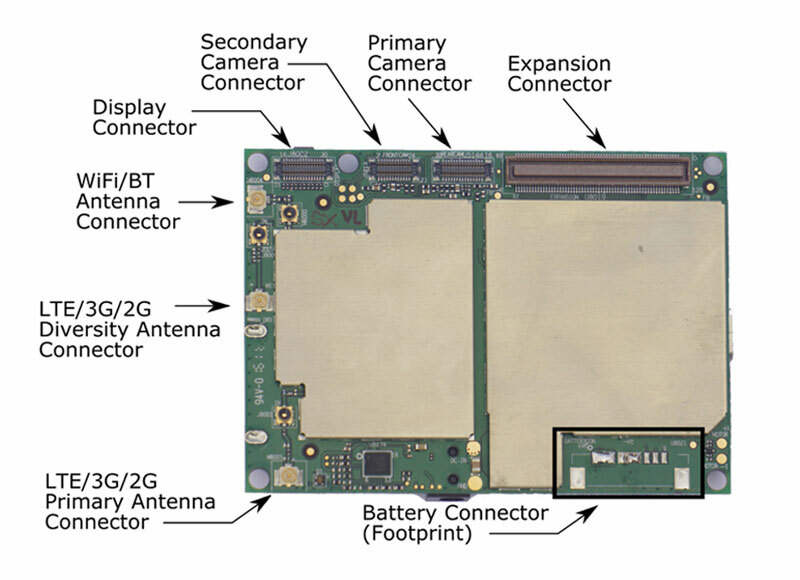 KiteBoard is a ready-to-use, small form factor, LTE enabled compute and connectivity module, based on the Qualcomm Snapdragon 410 SoC (MSM8916). 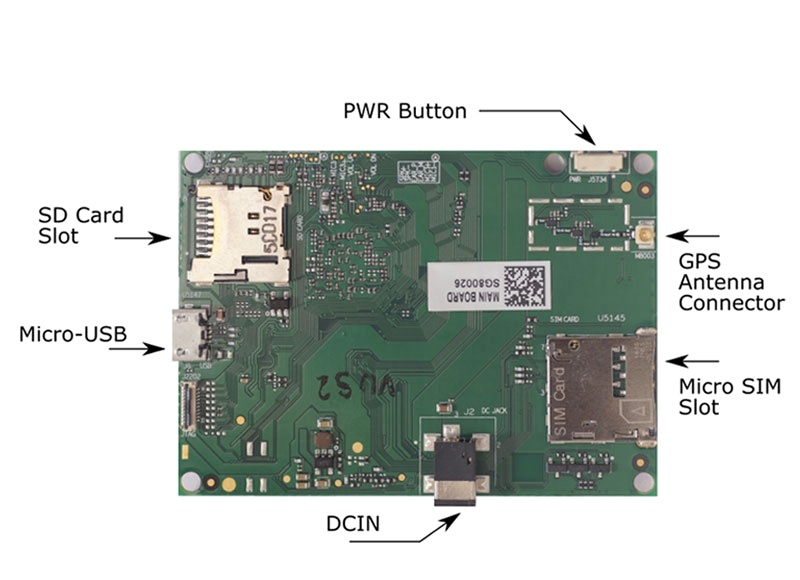 KiteBoard includes an application processor with integrated cellular modem, GPU, WiFi & BT/BLE connectivity, and GNSS function. Separate antenna connectors for cellular, WiFi/BT, and GPS make it possible to use the right antenna for the application. Kiteboard includes connectors to interface up-to 2 cameras, a high-resolution display, plus peripheral expansion (UART/SPI/I2C/GPIOs). KiteBoard can be powered by a DC power, USB or a LiPoly battery. KiteBoard integrates a high-current LiPoly charger, with support for external fuel gauge chips for accurate state-of-charge determination. KiteBoard comes in two variants depending on the LTE configurations. One variant is customized for North America, while the other variant is designed for use in Europe & rest of the world. Integrated Modem with Cat 4 LTE support, 3G/2G fallbacks. Dual SIM support (DSDS). Supports voice, data & SMS. The Display connector supports MIPI displays. The display connectors includes an I2C interface, which can be used to directly interface a touch panel. A backlight PWM pin, power & GPIO signals are provided to make it possible to directly interface common MIPI displays panels with integrated touch. Interfacing LVDS/RGB/HDMI displays requires usage of a bridge chip and circuitry to convert the signals. I2S signals are also routed to the display connector – this can be used to implement HDMI audio if required. USB Micro B, DC Input, MicroSIM, and MicroSD connectors are mounted in development boards. They are, however, optional in production boards. The signals on these connectors are routed to the expansion connector as well – this allows placement of the connectors at an appropriate place, as required in the target application.